The staff at All Star Memorials is dedicated to providing expert design, quality products, and incomparable professional service at the most competitive prices in the headstone industry. We work with domestic and international cemetery granite supply companies to provide you with a wide variety of affordable grave headstones, cemetery memorials and grave markers. At All Star Memorials, we specialize in providing the memorial stones, inscriptions, cemetery lettering and plaques you are looking for. 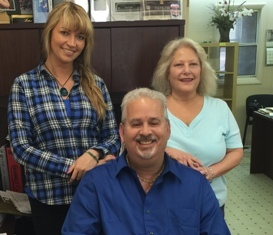 We are here to assist your family in choosing the tombstone that speaks for you, and memorializes your loved one. Why choose an All Star Memorial? 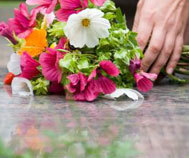 At All Star Memorials, we pride ourselves in friendly and professional service and quality products. Moreover, we work hard at maintaining the highest customer satisfaction in the monument industry. Call or e-mail your questions. A free estimate is only a phone call away. I couldn't understand how your company could charge so much less than what the cemetery wanted to charge me. The marker came out exactly as you described and as I wanted it to be. It matches my parent's marker exactly. Thank you. Bruce's memorial came out beautifully. The train looks great. Thank you for all your help. Both monuments came out beautiful and we were especially taken back by the in depth work done on the flowers. We appreciate the very good price you gave us. My daughter said you were less than half the cost she was given by 3 other companies she had spoken with.